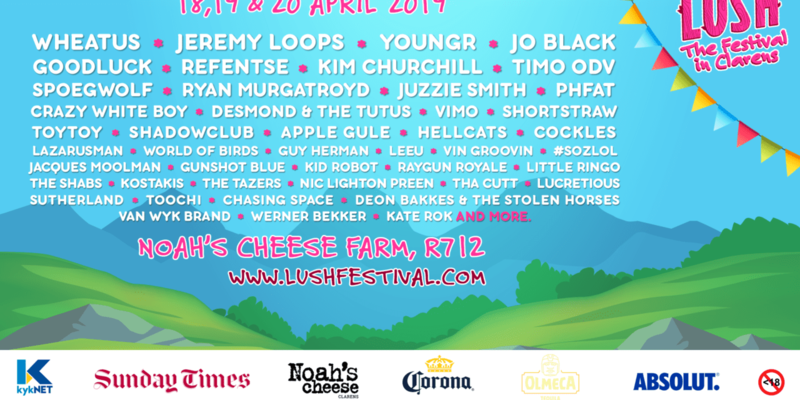 With a new home at Noah’s Cheese Farm, comes an exciting new layout for LUSH festival and the organisers have shared what festival-goers can look forward to on 18, 19 & 20 April. 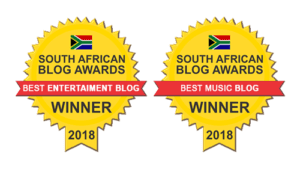 There will be 3 stages with entertainment on The Main Stage, The Kraal Stage and in The Woods. The Main Stage will be located in the centre of the festival area and will play up to a natural amphitheatre. The Kraal Stage is placed in an old cattle Kraal and will be at the top of the grounds where the farmhouse is. For the dance fanatics, The Woods will be in the forest space and this year Toy Toy are doing takeover on Friday 19 April from midnight to 3am. The takeover will feature three Toy Toy DJ’s with Fabio, Dogstarr and Craig Placid taking to the decks. The restaurant on Noah’s Cheese Farm is closed over Easter weekend, but LUSH will have loads of yummy food options with the likes of Kaasvarkies (from Noah’s Cheese), Sumting Fresh, Culture Kitchen, Siggi’s Wurst Strube, Dos Chido Mexican Truck, Brohemian Pizza, JOBURGER, Seattle Coffee, and Belguim Waffles in the food market. For those camping, there will be hot showers available to all festival goers and this year you get to camp with your car parked where you are. The camping area has the general camping section, a powered camping section (which is sold out) and a family camping section for patrons who want a slightly calmer environment for their kids. For those in need of some more adventure, Clarens Xtreme has you covered with activities like White Water Rafting, Abseiling, MTB Trails, and much more. Wheatus, Youngr, Jeremy Loops, Jo Black, Spoegwolf, Goodluck, Refentse, Kim Churchill, Juzzie Smith, Hellcats, Shadowclub, Shortstraw, Desmond & The Tutus, TiMO ODV, The World of Birds, Ryan Murgatroyd, Apple Gule, VIMO, Crazy White Boy, Cockles., Raygun Royale, The Tazers, Kid Robot, Werner Bekker, Jacques Moolman, Gunshot Blue, Little Ringo, Sutherland, Nic Lighton Preen, #sozlol, Weston & Engine, Lazarusman, Leeu, Kostakis, Van Wyk Brand, Deon Bakkes And The Stolen Horses, Kate Rok, The Shabs, Lucretious, Tha Cutt, Vin Groovin, Toochi & Chasing Space, and the Official Toy Toy Takeover Featuring: Fabio; Dogstarr; Craig Placid. Lush promises to be the festival where memories will be made with a fun escape for local and international visitors alike. Let’s make memories.